It was an incredible second week in Nashville!! Friday we completed a full week at Papa Joes where we ministered to the community and helped pass out lunches. That evening we had the honor of partnering with Project R12 which is a ministry that does incredible work in Uganda. They provide education, shelter and food for orphans and at-risk kids and women there. They have a Ugandan team on the ground who have been equipped to lead and run this independently which creates sustainability for the people there. We had the opportunity to pray and prophesy into their upcoming trip and over the people going. They were able to record us praying and encouraging the Ugandan team as well so they can share it with them! 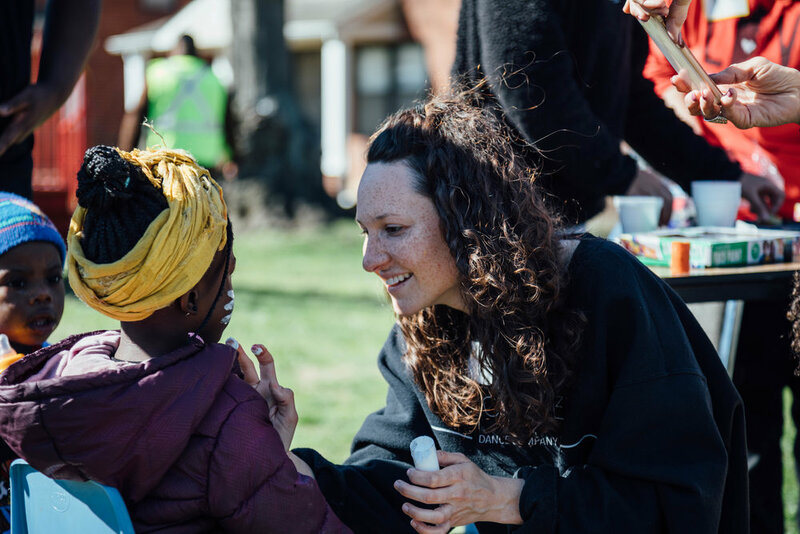 Saturday was the big picnic where we got to partner with the missions team at Grace Center and the Elijah Heart staff to have a cookout/community event for the JC Napier and Sudekum communities. People were fed but one of the most beautiful things was just getting to connect and love on each individual we encountered. Something that was staggering was when one of the men who grew up in the community but who had been successful in cooking and even had been on a popular tv show, came back to the place where his family is. This man had been radically saved and is believing to see transformation in the community he was brought up in. He shared that events like this aren’t normal for this community. He shared that he hasn’t seen anything like it. He even brought over a little kid to share that they had never played with white kids before, in this community. Our team and other members of our church body got to break some of this racial and economical division and just love these people like Jesus and as family. We had powerful interactions, had fun and fellowship, and offered prayer for healing and encouraging words to anyone who wanted it! We were so grateful to be a part of this day! Monday we were able to walk up and down the entirety of Music Row, praying for and speaking blessing over the music industry as a whole and all the businesses along it. We stopped along the way for dinner as a team. Throughout the walk our team was able to speak into and pray for several people that were highlighted to us. This prayer walk really set us on fire and gave us more of God’s heart for our city. Tuesday and Wednesday we partnered with Grace Center’s ministry for new moms, Babes with Babes, and were able to grocery shop and then prepare 50 freezer meals that will bless families in our community! Thursday we had the gift of getting to attend Acts 13, which is a group of leaders across the city of Nashville where they share what God is doing across the city and even the world. Blake and Trenton got to lead worship alongside their worship leader. After that, a visitor from out of the country shared his powerful testimony and prayed for each of us to have a greater revelation of Jesus. It was a morning that shifted everything for us as we each had such a special encounter with Jesus. Thursday night we helped with Meal of Hope for the 3rd week! I had the opportunity to speak about forgiveness and share part of my story about how God has brought so much healing and transformation through forgiveness. I gave them the chance at the end to ask and receive God’s forgiveness and also release it to the people who have hurt them and wronged them. It was incredible to see almost every person praying and releasing forgiveness. At the end our team got to encourage and pray for the people there. One guy was struggling with suicide and hopelessness and tonight through hearing my story and being loved on and prayed for by our team, has new hope and found healing and comfort. It was a powerful night! It has been such an honor to get to partner with amazing ministries and leaders in our city and see how God is moving and participate it it. We are so expectant for all that is to come for our last week!